Sarah Friar first joined Nextdoor in 2014 to get to know her neighbors. In early December, she became CEO of the social network, making her one of a handful of females to lead a unicorn company. But as consumers get increasingly disillusioned and wary of tech giants like Facebook ( FB ) and Google ( GOOG , GOOGL ) amid an onslaught of privacy scandals, Friar said she’s sensing a shift in Silicon Valley. “Tech, broadly speaking, has recognized that trust has to be the North Star. It has to be your number one focus. Because without that, in our case, members, don't want to come to our platform,” she said in an interview for Yahoo Finance’s “ Breakouts ” series on Wednesday. 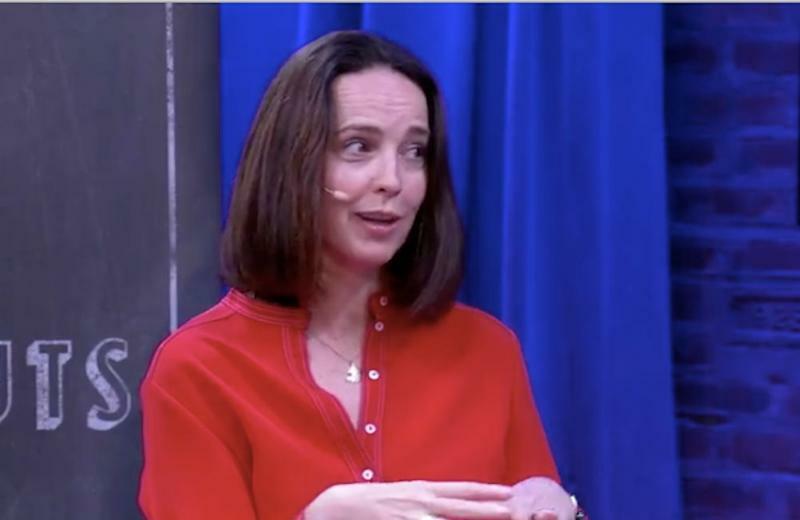 Sarah Friar being interviewed for Yahoo Finance's "Breakouts" series. Making an account with Nextdoor is actually quite cumbersome. You have to register with your real name and verify your home address via phone or a credit/debit card. If neither of those options work, you have to wait for a postcard to arrive in your mailbox. Friar said these barriers are actually integral to the business. “[The process] is friction full because we want to make sure that you do actually live in that house and live in that neighborhood. And that's the bond of trust we create with our members. We have a lead that actually founds the neighborhood, so there's a bond of trust about who's driving it. And finally, all the content is coming from the ground up. It's coming from the folks that live in your neighborhood. There’s no injection into the feed the way you might find, say, on a Facebook platform. So it’s a very different starting point. And that gave me a lot of confidence as I thought about the shift over to Nextdoor,” she said. Though Nextdoor was founded a decade ago, Friar is shining a fresh spotlight on the company. 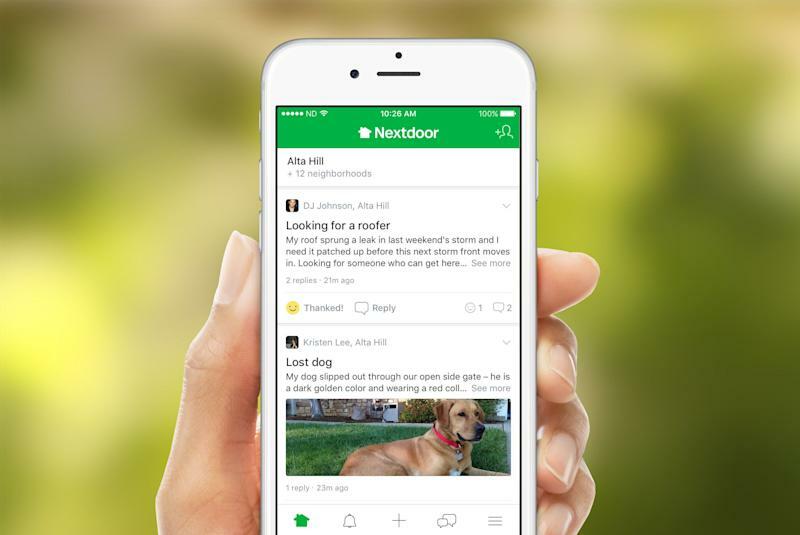 Nextdoor closed its last round of funding in December 2017, raising $285.2 million to date at a post-money valuation of $1.5 billion. Friar is deeply familiar with scaling startups, having served as Salesforce’s SVP of strategy and most recently the CFO of Square ( SQ ). She said while she hadn’t been looking for a new opportunity, Nextdoor’s unique mission and untapped potential made the gig an opportunity she couldn’t pass up. Currently, Nextdoor has a presence across eight countries worldwide — the U.S., UK, the Netherlands, Germany, France, Spain, Italy, and Australia. The platform exists in 90% of all U.S. neighborhoods, or about 190,000 communities. Members use the platform as a source for commerce (like a Craigslist) and civic engagement (e.g. mobilizing volunteers to help with disaster relief efforts). Around 5,000 public agency departments use the platform to convey critical, targeted messaging to the residents they serve. Friar believes that Nextdoor is a complement to, not a substitute for, our existing social media usage. “People don't think of their life and they have a segment of the pie that is social media. So if I'm not here, I'm going to go to this different platform. Rather, I think it's like ... we used to just use our phones to call people, then we started texting, then we shifted to a Twitter feed, then we added in a Slack feed. Now we're doing things in a hyperlocal context on Nextdoor and you haven't really seen replacement happen. Instead, you've seen just much more focus on being, you know, in a virtual world online rather than maybe being in a physical world. So there's good in that and there's been some great outcomes in terms of conductivity across the globe,” she said. Citing “ 21 Questions for the 21st Century ” by historian and philosopher Yuval Noah Harari, Friar highlights a popular topic of conversation today.